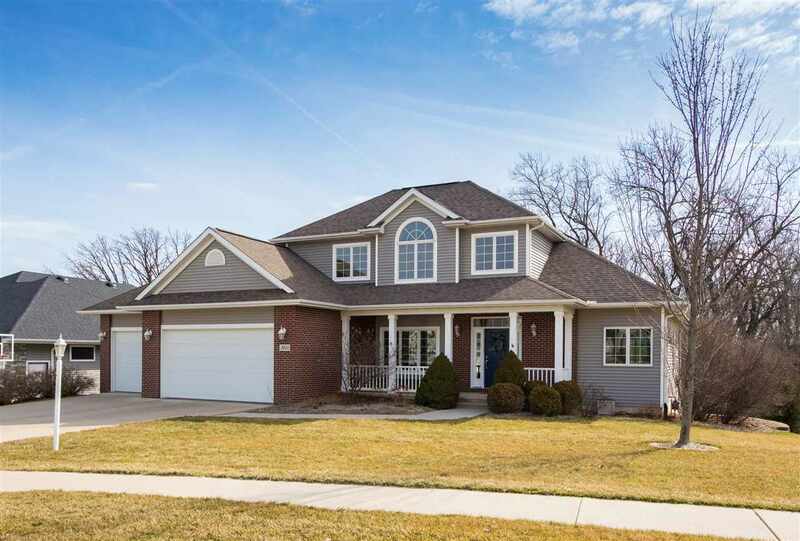 Beautiful 2-Story home sited on a quiet cul de sac, with vistas of woods and pond. Maple floors, white trim, and abundant lght. Easy flow floorplan with main floor master suite, featuring dual vanities, a corner jet tub, and walkin shower; laundry room with washer/dryer and sink; convenient mudroom; separate formal dining room, and large living room with gas fireplace. Eat-in kitchen with center island, SS appliances, maple cabinetry. The breakfast area walks out to a large screen porch and deck.